We’re all anxiously awaiting the final season of HBO’s Game of Thrones and fortunately, it looks like we won’t have TOO much longer to wait. 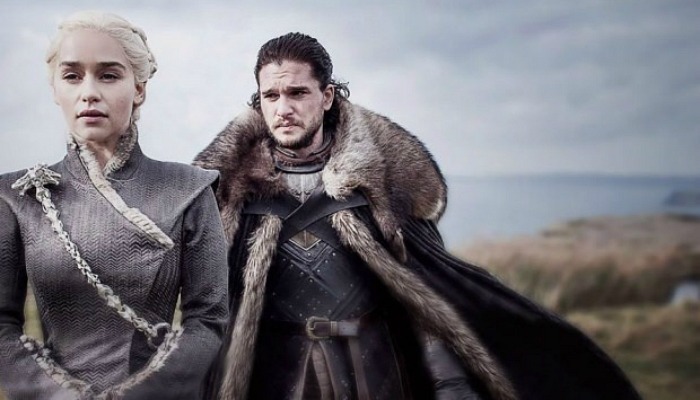 While GoT may not have an official release date yet, the time frame for the premiere of the final season is certainly narrowing down. HBO programming president Casey Bloys spoke at the Television Critics Association press tour this week, stating GoT would return for its final six episodes in early 2019. Bloys was very tight-lipped in regards to what we can expect for the final season, choosing not to say too much other than “it’s pretty great”. While the rest of us are mentally preparing to mourn the loss of our beloved show, HBO is gearing up for a prequel series that will take place thousands of years before the events in Game of Thrones. The spinoff would focus on “The Long Night”, a time in Westeros history when humans first fought the White Walkers. Between this never-ending wait and actress Maisie Williams’ spoiler-teasing Instagram post, we are losing our minds over this final season… and it hasn’t even happened yet. Are you ready for the final season of Thrones? Sound off in the comments below!